This morning I walked on soggy roads, watched bronze leaves linger on winter-readied trees, gazed at the gray layered clouds filling the sky, and drank in the stillness of a new day. 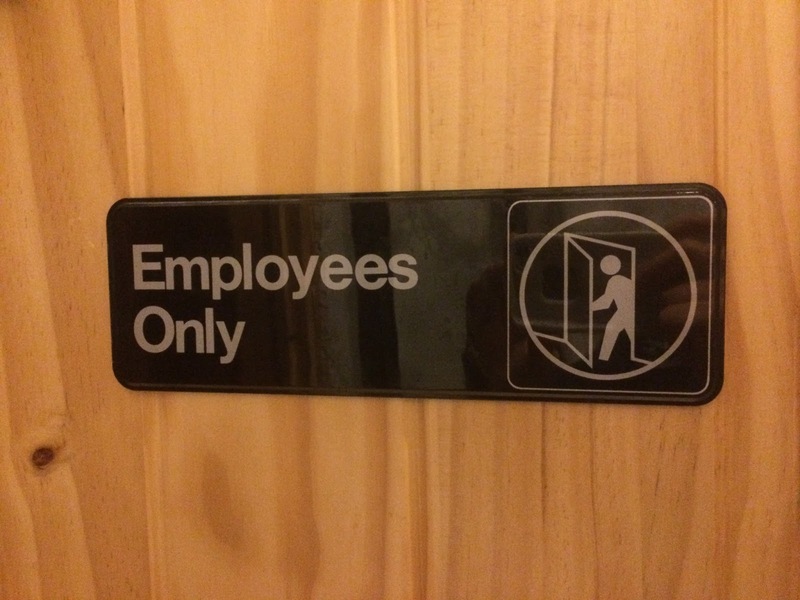 When I arrived at my non-writing job I breezed through the Employees Only door to an dark and empty kitchen. One flick of a switch and the room was illuminated. This little corner of the world isn’t seen by many people, admission isn’t granted to the general population, yet to me it feels like home. I’ve spent uncounted hours rushing about the kitchen, cooking, directing, organizing, planning, and living. If you haven’t noticed by now, I’m a bit of quirky individual who enjoys basking in the knowledge of what other people probably consider quite normal. For instance, one of my favorite things is having access to Employees Only areas. It makes me feel special and set apart. (And in reality I am…. Set apart to do extra work.) It sometimes makes me nearly giddy with joy and I literally twirl around in happiness because being allowed to simply walk through Employees Only doors without asking permission first signifies that I’m part of a team. That I belong. This morning I wrote in my prayer journal, my thoughts, requests, worries, and thankfulness filling the pages. Prayer is a privilege, a blessing, an incomparable joy and relief, and also a command. In some ways prayer is also like going through an Employees Only door. Yet, the sign would read more like Sons and Daughters Only. When we become children of God, we’re given the gift of being able to communicate with Him on a deeper level than most of those who haven’t been cleansed by Him can even dream of. We are part of His team, part of His family. We belong. And that is mind boggling. The God who literally created the universe out of nothing. The God who designed the world to spin and leaves to fall and human brains to function. The God who created billions of stars and called them each by name. The God who knows how many hairs each and every person in all of forever has ever had on their head. That same powerful, incredible, indescribable God, He loves me. And accepts me as His child. And takes time to listen to me. And that is a gift far above what I’m able to comprehend. A gift that demands action on my part, the action of communicating with Him.